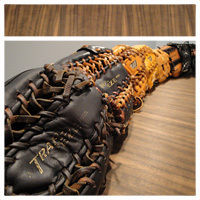 WWW.GLOVE-WORKS.COM BASEBALL GLOVE COLLECTOR FORUM • View topic - Are all ASA softballs yellow now? Are all ASA softballs yellow now? Post subject: Are all ASA softballs yellow now? I haven't played softball in about 9 years (don't go soft--play hardball!!). 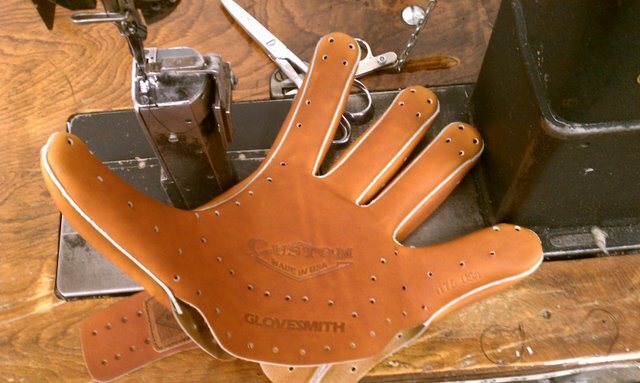 I've noticed that in most pics of a glove with a softball in it the softball is yellow. Are all ASA softballs now yellow? When did that happen? I'm not a fan, FWIW. Post subject: Re: Are all ASA softballs yellow now? Yes. They made the switch 2 or 3 years ago, supposedly because players asked for it for better visibility. In some light conditions they're easier to see, but overall there's not much difference. I'm ok with them now, but didn't care for them at first. The biggest reason for making softballs bright yellow is that they are easier to see. The distance between the pitching mound and the batter's box is approximately 14 feet shorter in softball than in baseball, giving the hitter less time to react to the pitch. The distance between home plate and the other bases also is shorter, giving fielders less time to react to hit balls. 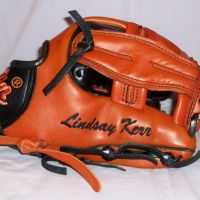 As a pitcher, I am more worried about getting a bead on the ball when it is coming back at me at 90 mph! IMO, the visibility difference widens when they start to get dirty. I hate the Yellow balls as an outfielder. White is SO much easier to see. Even against a overcast sky? As I think from pitcher POV, the background is the batter, fence, catcher, etc. and I know from BP that I like yellow best. I think I remember hearing that fire trucks should be yellow, not red (or white) as that is the color that jumps most on retinas. This has been a long standing debate in the fire service. Emergency vehicles started to get painted pee yellow, based on studies about what colors stood out the most and were easiest to see in a variety of lighting conditions. What they failed to consider is that after you see something, your brain has to process it and figure out what it is... after thousands of emergency vehicles were painted pee yellow in the name of safety, many departments are going back to red, as most Americans still identify and react to fire apparatus painted red more quickly than other colors. Obviously, what we need are balls that have flashing lights on them like emergency vehicles! With LED technology, it cannot be far behind.